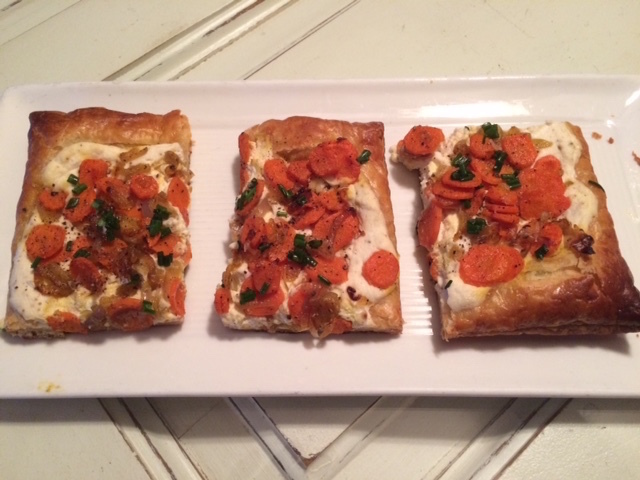 This recipe (with slight revisions/omissions) came straight from April 2015 Bon Appetit magazine – Carrot and Ricotta Tart! Start by washing and peeling 3-4 large carrots, then slice each carrot into thin coins. Peel and thinly slice 2 large shallots (which I used instead of onion.) Heat 2 TBSP olive oil in a skillet and saute the shallot (with Kosher Salt and Black Pepper) until lightly browned (about 5 minutes) then add the carrots and continue cooking for another 2 minutes, then set aside. This served as an interesting, creative, and delicious start to our friend Christine’s birthday dinner! Buon Appetito! 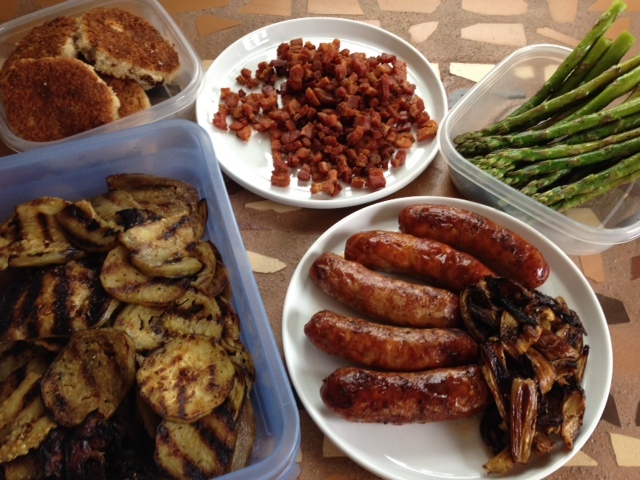 International Bacon Day – Who knew??? Did you know August 31 is International Bacon Day? It took me by (PLEASANT) surprise! To all of my vegetarian and/or non bacon-loving followers, thanks for allowing me to indulge! I came home on Saturday (August 31) afternoon to find a bowl of jalapenos on the counter, the last of our container crop this year. I had a little of the cream cheese filling left for some of them (to make more poppers [previous post],) but not enough for all of them. What to do???? As I pondered what to do with the rest of the jalapenos, Mike asked if I knew it was International Bacon Day. 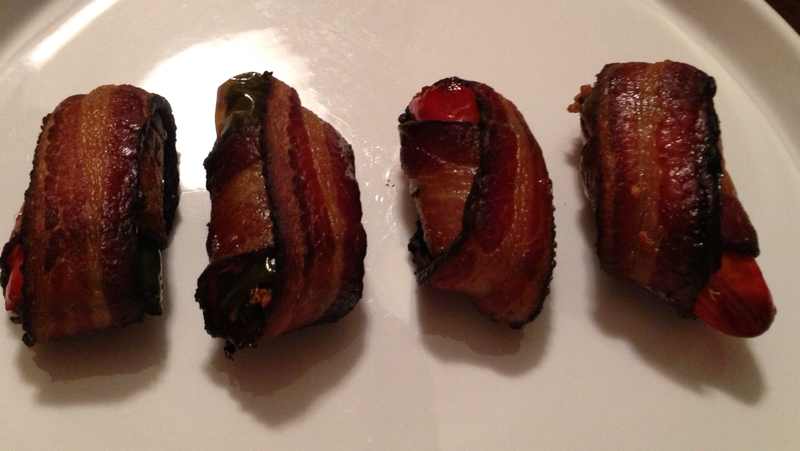 That triggered some bacon wrapped jalapenos stuffed with leftover Spinach-Quinoa [previous post.] (I had added some chopped sun-dried tomatoes to this batch of Spinach-Quinoa for a little something extra.) And there you have it! Carefully cut the end off each jalapeno. With a sharp pairing knife, hollow out the inside of each pepper. Stuff with quinoa mixture, wrap an entire piece of bacon around all sides, place on a foil-lined baking sheet, bake in a 375-400F oven until crispy and caramelized. (25-30 minutes ???) As the bacon cooks, it seals itself around the pepper. You’ll know when they’re ready. Let them rest for a few minutes – then enjoy! Mmmm….. BACON! I’ve been making these Baked Jalapeno Poppers for so long, I was sure they were already on this blog. 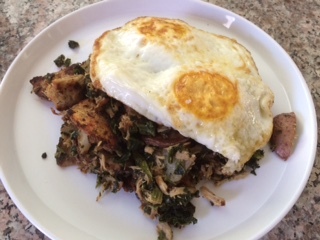 After being asked for the recipe (thanks, Lynne,) I realized it wasn’t there. Here you go. 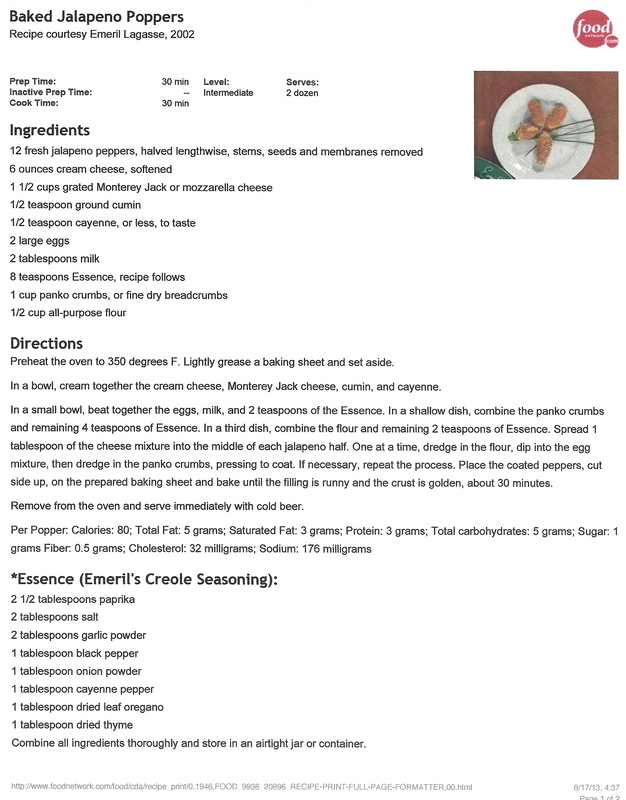 This recipe is right off the Food Network website, compliments of Emeril Lagasse (with a few tips of my own written below.) 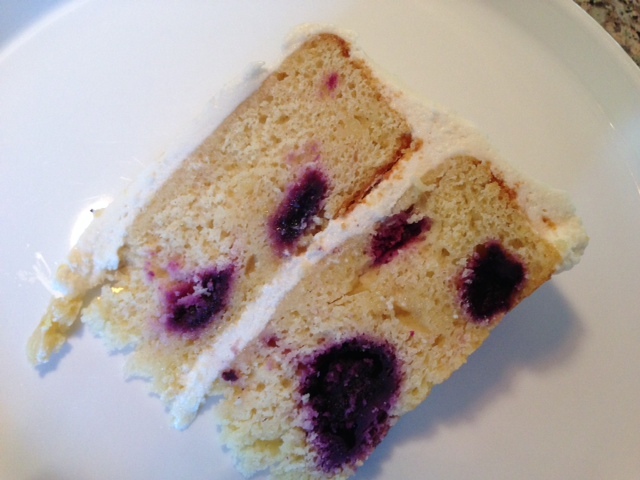 He’s not my go-to chef for inspiration or ideas, but this one’s a winner – enjoy! 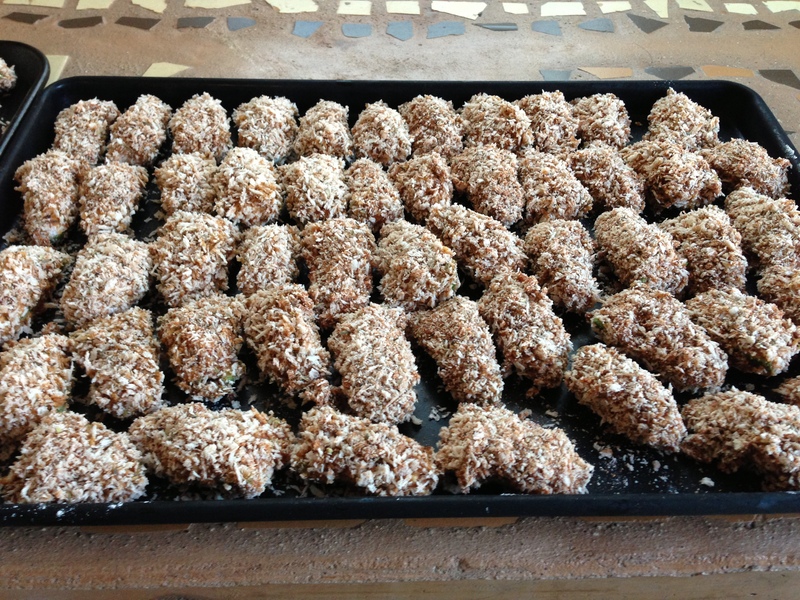 The following picture is of the prepared poppers before baking. Since I had about 36 jalapenos, I tripled the recipe. (It’s a bit labor intensive, so if you’re going to go for it, make it worth your time.) My (hopefully helpful) tips follow the picture and recipe. Once prepared, I freeze them in bags of about 10 each – the perfect amount for 2 (or 3) people to enjoy as an appetizer. Before baking, drizzle a little bit of olive oil on each – very little. Just helps with the extra crispy factor. (After all, isn’t always about the crunch?) Naturally, you can skip the “drizzle” if you want. Finally, I make the “Essence” on a regular basis and keep it on hand to add to a variety of breaded foods. 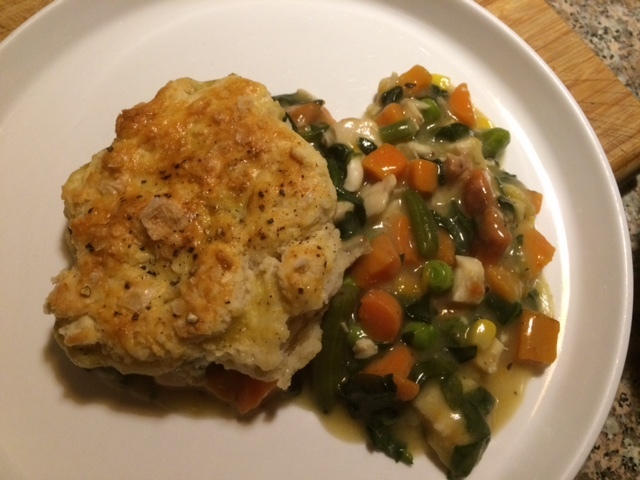 When making, do yourself another favor by doubling or tripling the recipe. Store in an airtight container (I use a glass mason jar) and you’ll find many uses for it. Until next time, Buon Appetito! Who doesn’t love pizza? 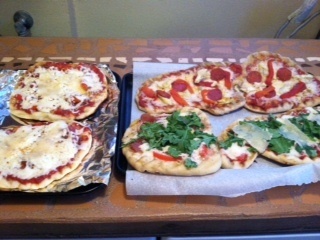 It’s even more fun (and delicious) when you design your own pizza! 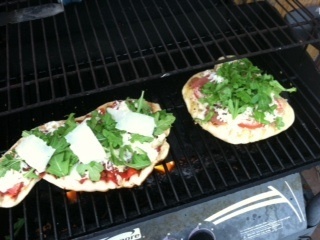 Tonight we had “personalized” pizzas on the grill! If you haven’t tried grilling pizza yet, don’t wait any longer. It’s easy and the result is a fresh tasting pizza with a toasty grilled flavor! Delicious! 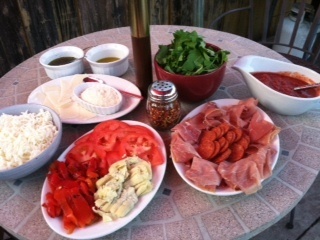 I put together an assortment of topping choices: Mozzarella and Parmesan cheese, of course, artichoke hearts, roasted red peppers, sliced tomatoes, pizza sauce, prosciutto, pepperoni, and arugula. 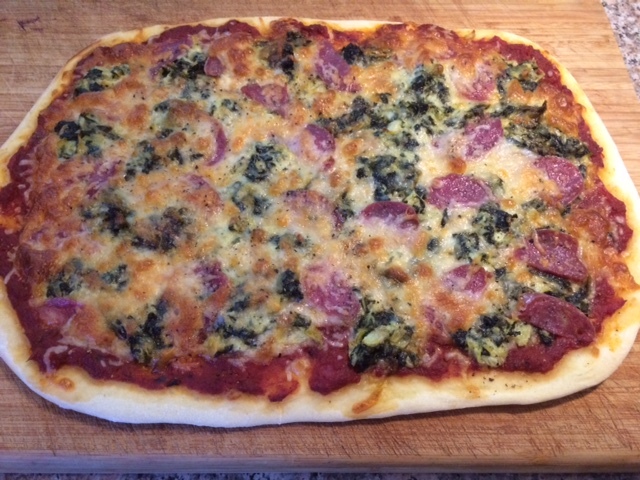 I used a couple of pounds of dough that I purchased from an Italian deli (Mona Lisa – San Diego) or you can make your own. I rolled each pound out into a 3 small pizzas and let them “rest and rise” on a floured baking sheet. Mix up some olive oil, chopped garlic, and black pepper and lightly brush each pizza round. Place them oil side down on a hot grill – then lower the heat to medium. After a few minutes, flip the pizzas over and top with whatever makes you happy. A few minutes later, you’ve got fresh grilled pizza! Buon Appetito! Fresh Grilled and Ready to Eat!